Well, perhaps. But as a teacher of film history, I hope that I can offer a slightly different perspective on the films as far as their historical accuracy and their contemporary significance are concerned. Let’s start with The Artist which, having fictional characters at its heart, brings fewer concerns with it. George Valentin, Peppy Miller and Kinograph Studios never existed, but the film takes place at one of the most interesting and extensively documented periods in cinema history. The conversion process from silent to sound cinema made – and, yes, broke – a number of careers, so it encompasses many elements which Hollywood itself loves so much, particularly meteoric rises and dramatic falls from grace. The filmmakers help themselves to most of the dramatic possibilities offered by this period while avoiding too many historical clangers. Only one major error stands out: “Kinograph Studios” doesn’t convert its production to sound until mid-1929, but actually this is rather later than is feasible. The premiere of The Jazz Singer was on 6th October 1927, and as soon as it became clear what an enormous hit this was, the sound of a bandwagon being jumped on was heard all over Hollywood. Most of the Big Eight produced their first sound pictures during the course of 1928, with the last (Columbia) finally releasing a talkie in February 1929. It is clear why the filmmakers wanted to push back Kinograph’s conversion; having two movie premieres and the Wall Street Crash all on the same day was obviously too tempting to resist, a lovely symbol for human hubris if ever there was one. But while individuals were certainly affected by the Crash, Hollywood as a whole was insulated from the effects of the Great Depression for a couple of years, specifically due to the economic benefits of the conversion to sound. Box-office receipts remained buoyant until about 1931, though they tumbled after that – from 90 million weekly tickets sold in 1930 to 60 million in 19321. That film is actually in colour. But back to The Artist. The fact that George Valentin should be producing a silent film late in 1929 is perfectly plausible. If the conversion to sound films happened relatively rapidly on the production side, it was a slow (and, not uncoincidentally, expensive) process in the cinemas. So silent films were still being produced until the early 1930s, primarily for movie theatres which hadn’t been upgraded to sound exhibition. This process wasn’t completed until about 1932 in the US, and much, much later in other countries2. As several reviewers have pointed out, the plot of The Artist borrows heavily not only from Singin’ in the Rain (which took huge liberties with the period, but when Gene is dancing with Cyd, who cares? ), but also A Star is Born (1937, 1954 and 1976; its basic premise was itself taken from What Price Hollywood?, 1932). The tale of the inexorable rise of a young, pretty star while her mentor’s career crashes and burns is hugely attractive, and was presumably given a new impetus in the early 1930s with the legends of the broken careers which the talkies brought with them. ‘No, no, this fruit, it’s just so fresh’ – Gilbert, Garbo and some cunningly hidden microphones. The most famous real-life A Star is Born scenario from the time is the story of John Gilbert and Greta Garbo. Gilbert had been one of the biggest silent movie stars in Hollywood but his career didn’t last long into the sound era and he died of a heart attack in 1934. Even though it patently isn’t true – just listen to him! – the myth that his failure to adapt was due to a high squeaky voice refuses to go away (in fact, an anachronistic acting style and studio politics are the more likely culprits). In a final, hopelessly romantic gesture, and against studio resistance, Garbo insisted that Gilbert play opposite her in Queen Christina (1933), much as Peppy Miller uses her clout at Kinograph to engineer the return of George Valentin. And how successful could Valentin expect to be in talking pictures? 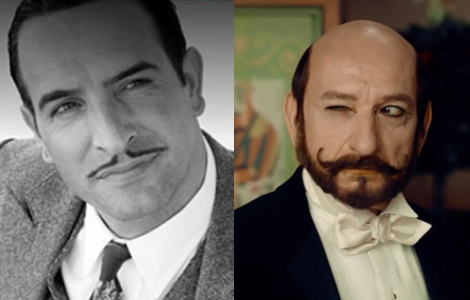 The final scene of The Artist implies that George’s nervousness about the shift to dialogue films is because he is French, but having a strong foreign accent did not always preclude a successful career in the talkies, as Marlene Dietrich, Greta Garbo and Maurice Chevalier discovered. Chevalier, a French musical star with a charming, easygoing screen persona and an accent so thick it might have been laid on with a shovel is the most obvious model for post-Artist Valentin. Georges Méliès presents… Georges Méliès. And so to our other French George(s), the one who isn’t fictional. This is the reason, of course, why the historical accuracy of Hugo matters more than that of The Artist, and also why it is more difficult to get right. 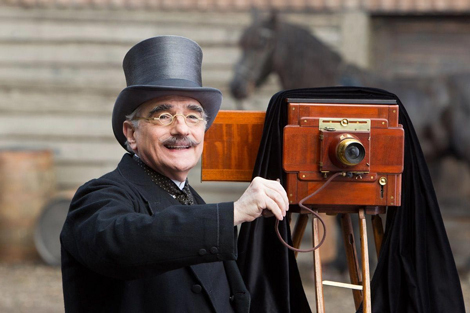 But there has certainly been a sense that, if anybody was to be entrusted with this story, then Martin Scorsese was the man to do it, and his reputation as a devotee and a protector of film history has largely insulated the film from criticism in this regard. On the whole Hugo gives a fairly accurate portrayal of Méliès’s life story. Kristin Thompson has pointed out a few of the tweaks which the filmmakers made, and I can add a couple more. Méliès did not first see his first film projector in action at a side-show but, famously, as part of the audience at the first ever public exhibition of the Lumières Cinématographe, at the Grand Café de Paris on 28th December 1895. 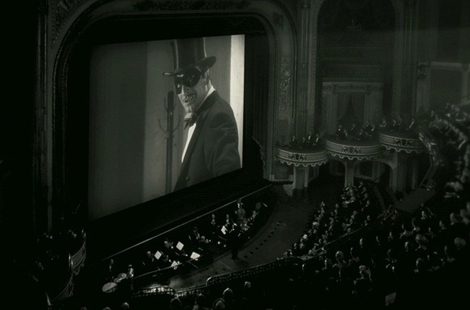 After this, he did approach the Lumières asking to buy a Cinématographe, and they did brush him off, claiming that it would be his “ruin” and stating their belief that there was no commercial future in moving pictures. (I prefer to believe that they were being disingenuous rather than short-sighted on this point). Is Hugo in any way introspective, Marty? At this stage in film history, many inventors were working on their own early cameras and projectors, and the Lumières’ refusal to share their machine encouraged alternatives – like the Theatrograph projector by British inventor R. W. Paul. 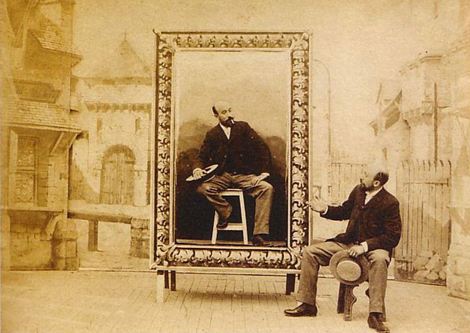 Méliès purchased a Paul projector in 1896, and adapted it for use as a camera. Eagle-eyed viewers of Hugo can spot a little name-plate which says “R.W. Paul” on the camera as Méliès talks about it, Marty’s little gift to the pedantic (well, it made me happy). 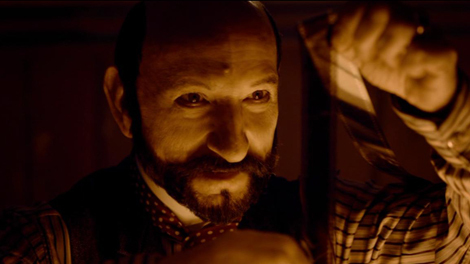 The main changes which Hugo makes to Méliès’s history concern the end of his career. The film has the First World War as being the reason for the collapse of Méliès’s business but, as Thompson points out, he had actually ceased film production and sold up to Pathé – at the time the largest vertically integrated film company in the world – by 1913. This brings us to the most interesting omission on Hugo‘s part. There is an oblique reference to Méliès’s films “not being wanted” any more due to the horrors of the Great War, but to paint Papa Georges as a man out of touch with his precious audience does not sit too well with the myth of the “first magician of cinema”. Georges, carefully removing all trace of narrative. But by the beginning of the 1910s, narrative films, films which told a story through their characters, recognisable human types with identifiable human emotions, were the way movies were heading. At exactly this time, D.W. Griffith was making hundreds of one- and two-reelers for Biograph in the US, and their use of clearly delineated characters and the beginnings of what later became known as continuity editing show a sophistication which rather puts Méliès to shame. He was old hat, outdated, but he was neither the first filmmaker to lose touch with his audience, nor would he be the last. After 1923, when he destroyed many of his old props and negatives in a bonfire because there was nowhere to store them, Georges Méliès did go on to run a toyshop and drop off the map somewhat, but not into anything like the obscurity which Hugo suggests. So in seeking to honour Méliès, Hugo manages the strange feat of simultaneously underplaying the failings which led to his economic downfall, and overdoing the oblivion which is supposed to have followed. And so to the more general significance of both films. The appearance of The Artist and Hugo in British cinemas towards the end of 2011 and their subsequent triumph at just about every film award ceremony going has led to much speculation about their wider meaning, particularly as far as cinema regarding its own history is concerned. But in my opinion, a lot of this theorising has overlooked a couple of important points. The first is that movies about movies have been made with staggering regularity virtually since the beginning of film history, from Chaplin’s His New Job in 1915 via Sullivan’s Travels (1941), Sunset Blvd (1950) and The Bad and the Beautiful (1952) to Day for Night (1973) and The Player (1992). Interestingly, most of these films are not the nostalgia-fests that their subject matter might suggest: celebration or homage is usually balanced with a bit of healthy cynicism. Admittedly, The Artist and Hugo do tend towards the sugarier end of the spectrum, and despite both films questioning the inevitable happy ending (which “only happens in the movies”), they both end up embracing it. Yet I would argue that they do display the clear-sightedness typical of the genre, but that that this has been partly elided by the publicity around the films, and by various award ceremonies’ overegged “celebrations of the magic of the movies“. What these really reveal is the industry’s ingrained hankering after a simpler time, when people actually paid to watch films in a cinema because it was the only place to see them. How interesting, then, that these two high-profile movies have at their centre men who singularly failed to adapt, technically or aesthetically, to the challenges of their time. Viewed in this light, the films themselves become less a celebration of the “magic of the movies” than a very clear warning. Look what happened to these guys. Let’s hope it doesn’t happen to us. Quoted by Thomas Schatz in “The Genius of the System”. Schatz also says that the Big Eight had combined profits of $55 million in 1930, against a combined net loss of $26 million in 1932. Film Daily Yearbook for 1929, quoted by David A. Cook in “A History of Narrative Film”, listed 335 all-dialogue features, 95 films with a mixture of dialogue and subtitles, 75 with music and sound effects, and 175 straight silent features produced in Hollywood throughout the year. From Méliès, “Importance du scénario” in “Georges Méliès” by Georges Sadoul; quoted by Tom Gunning in “The Cinema of Attractions: Early Film, Its Spectator and the Audience”. Very interesting piece and I can’t argue with the conclusions. Regarding the distortions of history in Hugo, though, it needs to be pointed out that the Meliés family have long been the guardians of the myth that Papa Georges’ failure was due to external historical and economic factors, and it may have been in order to secure their co-operation that the business about the Great War taking down Star Film was included. The other business, about Meliés being presumed dead, is just dramatic license, I imagine. There’s a new and far more factually based Meliés film on the way from Serge Bromberg’s Lobster Films that will, hopefully, get a major boost from the success of these two. Really interesting article, nice to read a film historians thoughts on these two films. The warning element rings loud & true for me, particularly with Hugo, perhaps because Scorcese as a film lover couldn’t have failed to intend this message, obliquely or not. Scorcese or celebrated as the years pass. Indeed both strike me as of the moment, which as you note above, is a moment where cinema is in the crux of monumental change, for better or worse, once again. It’s hard to know whether the films will be regarded as classics in the long term. 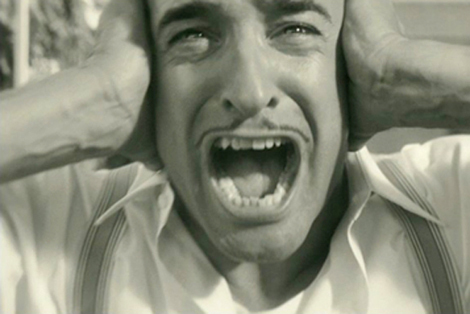 I have a suspicion that “Hugo’s” chances are better, even though I personally enjoyed “The Artist” more, but it’s the kind of postmodern pastiche that might not wear so well. OTOH I think “The Artist’s” predetermined triumph at so many awards ceremonies has blinded a lot of people to the fact that it’s actually quite a left-field choice. So it will certainly be interesting to see how the films are viewed in a few years.